On my second trip in a year to Seville (I only managed to stay away for a few months), I decided that I was going to stay in the same area as we did before and let myself succumb once again to its charm and easy-going vibe. I know it sounds incredibly lazy but although we spent our days roaming through the winding streets of Seville, when it was time to tuck into some tapas we somehow always ended up back here, in Calle Alfafa, where we knew the food was good and the drink was smooth. Our favourite spot was La Bodega, a fast-paced tapas bar, busy with locals, and the ever-friendly waiters tip-toe dancing through tables serving a fantastic selection of great tapas, seafood and gorgeous wine. 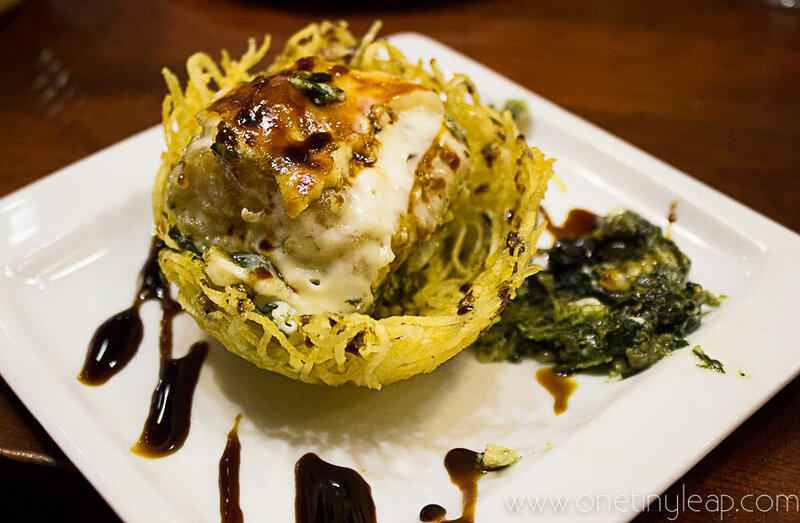 Cod fillet served on a crispy potato nest with creamy spinach and a balsamic reduction drizzle. Being Portuguese I am a bit parcial to cod, and this was the most delicious thing I’ve eaten in a while. Just to give an idea of how delicious it looked, the three tables surrounding us ended up ordering up the same after seeing ours! 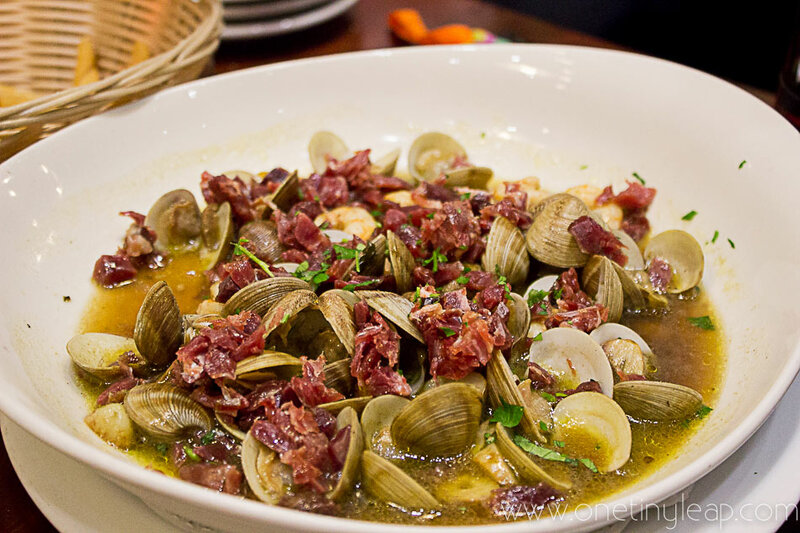 Clams in a garlic and wine sauce served with crispy iberian ham. This wasn’t my cup of tea as I like my clams drenched in garlic and coriander, but was nonetheless a full-flavoured dish, perfect for dipping doughy bread in. 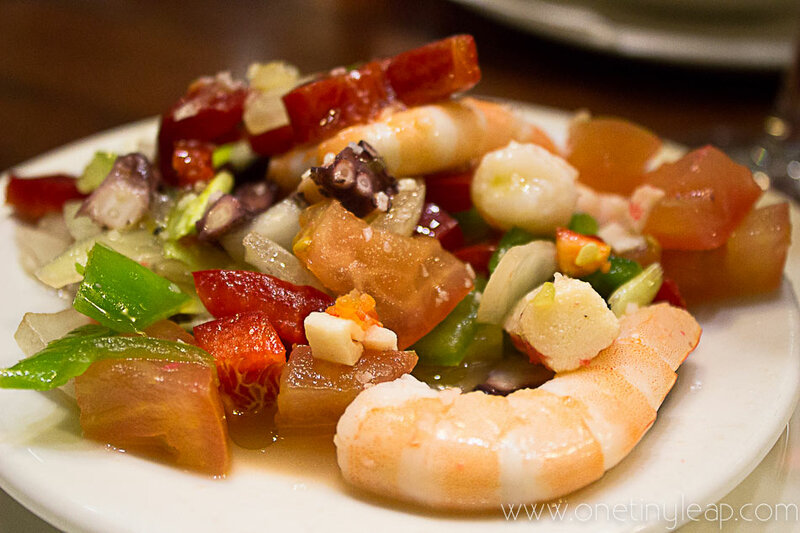 Due to its bright colours and shine, my friends coined this the Haribo salad, but was in fact a super fresh and delicious prawn, octopus, peppers and tomato salad. A great side dish to cut through the richness of the heavier spanish cuisine. 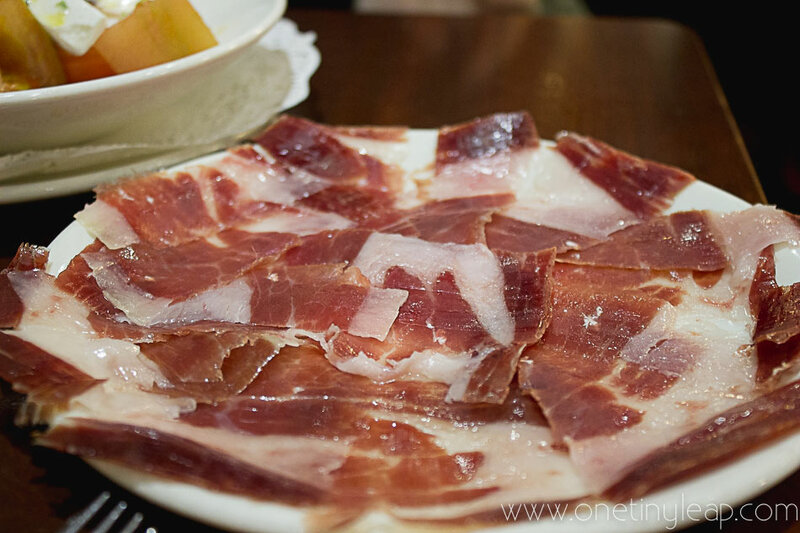 You can’t go wrong with a plate full of Iberico and this one will disappeared in less than five minutes. Save yourself some trouble and order two to start with. 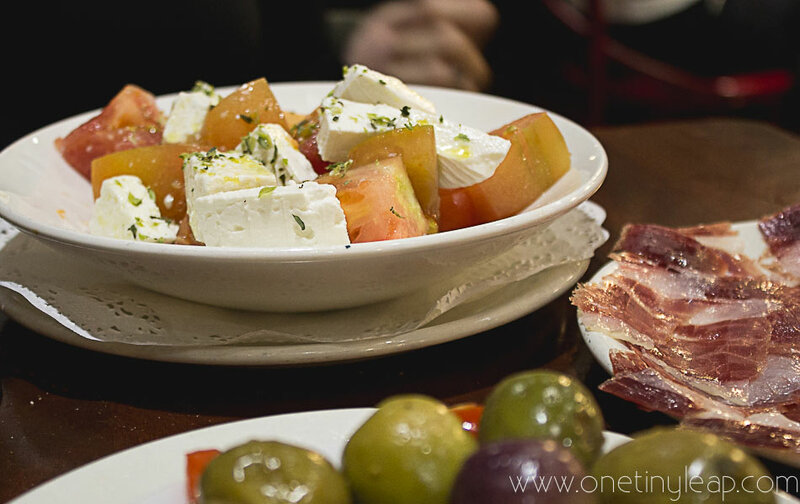 Lovely huge olives, a tomato salad and a plate of ham. Is there anything better on this earth? 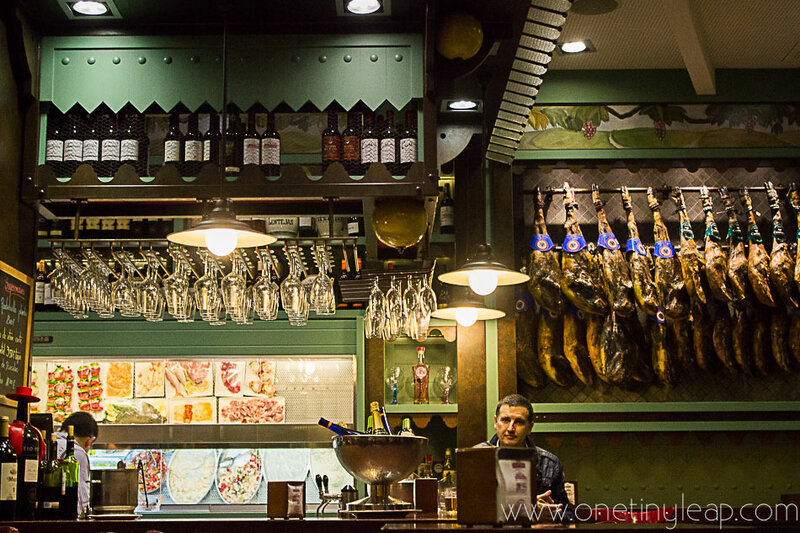 What’s your favourite place to eat in Seville?